Now it’s getting slightly wintery (and foggy) I thought a nice murder mystery would be the best sort of read. I had looked at some of the tower’s classic authors like Wilkie Collins, Charles Dickens and Arthur Conan-Doyle, but then I came across the real thing…. 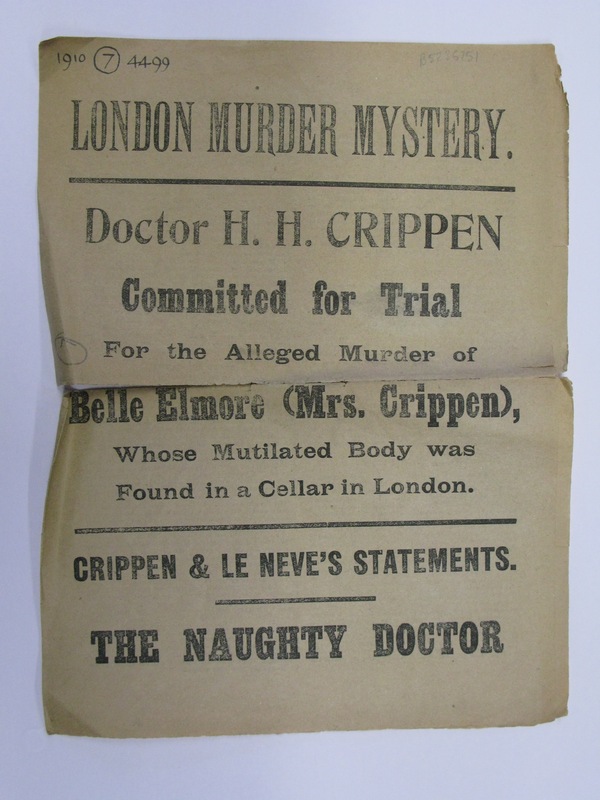 I had not previously heard of the infamous Dr. Crippen and his lover Ethel Le Neve. But the case appears to have drawn massive interest at the time and is still well-known today, especially with new evidence coming to light strangely in 2007! 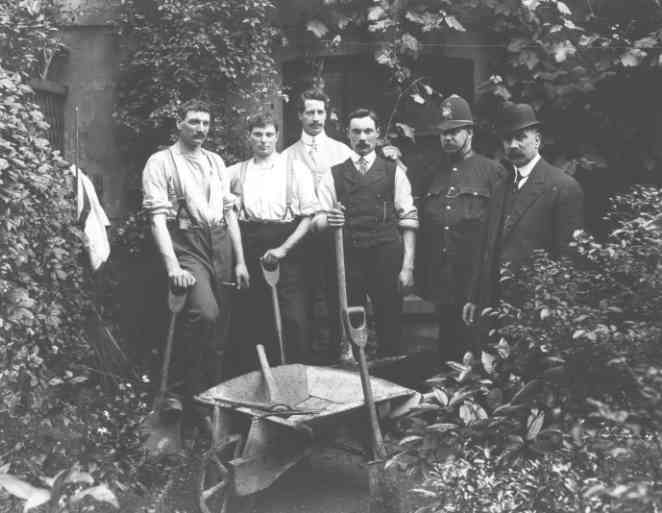 And Doctor Crippen he had the job in hand…. The nation was obviously gripped by the case. 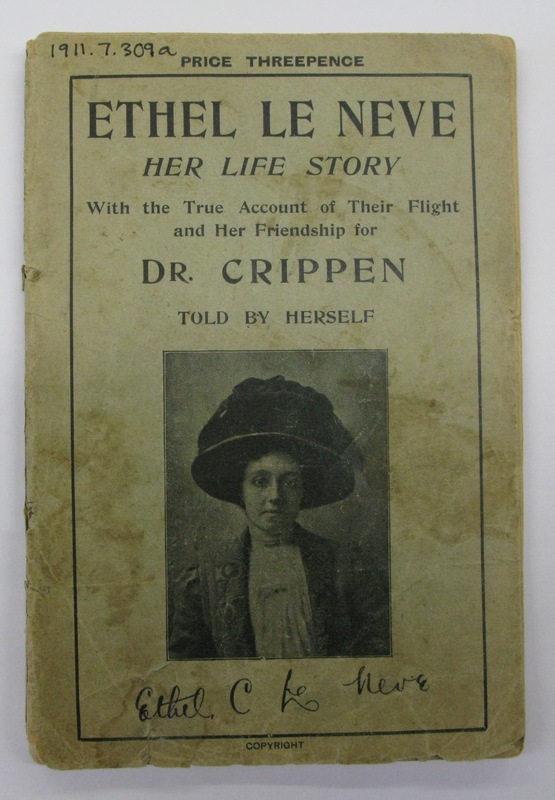 So much so that Ethel Le Neve produced a pamphlet of her own version of events Ethel Le Neve : her life story ; with the true account of their flight and her friendship with Dr. Crippen ; also startling particulars of her life at Hilldrop Crescent / told by herself hoping she claimed, to convince the public of her innocence. The myst ery goes as follows: In 1900 Dr. Hawley Harvey Crippen, a homeopathic physician from Michigan, came to England with his much younger, music-hall performer wife, Belle Elmore. After a few years here their relationship began to sour and Crippen began to suspect that his wife had started entertaining a certain gentleman called Bruce Miller. Yet in 1905 they moved to Hilldrop Crescent, Holloway in London and remained living there together until, after a dinner party on the 31st of January 1910, Belle Elmore vanished. When the police came to investigate, Crippen and Ethel fled, and fled in disguise, her as a boy and he without his moustache! This caused further suspicions and led to the uncovering of incriminating evidence. Crippen claimed to the courts, that Belle who was openly conducting an affair, had flown into a rage, threatened to leave with her lover and preceded to do so the next day instructing him to cover up the scandal. This he did by spreading the word that she had returned to America. He later developed on this by adding that she had died there of pneumonia. Ethel, according to her version, had also been told this and this she believed, being in love with Crippen and deeply trusting of him. 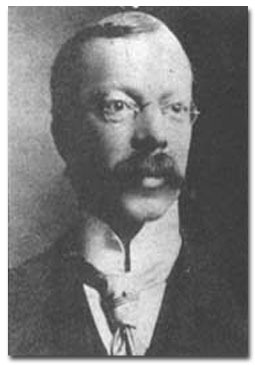 She knew nothing about the post dinner fight at the time and reported that the day after the dinner party Dr. Crippen was at work as usual, calm and normal, not like someone who had poisoned, murdered and mutilated his wife. Her landlady however reported to the judge that on that day Miss Le Neve returned home in a state of great agitation, trembling, fingers twitching and being unable to dress her hair. This Ethel assures us is fairly common: ‘the life of a typist-secretary is always a hard one’ and that she had many responsibilities mentally harassing to a girl of her age (27) and temperament. Innocently Ethel then moved into Hilldrop. She noticed no sign of violence and though all Belle’s jewellery, clothes and furs remained in the house she was not suspicious for someone running away to a new life would not take such things with her would she? She admits she maybe made a mistake in wearing Belle’s jewellery out in public and persuading the Doctor to pawn the rest (though this was for safety not financial gain). Their reason for flight was quite innocent, she tells us: Crippen forced to admit publically that he lied about Belle’s location and death feared a massive scandal and convinced her that leaving immediately and unnoticed was the only way to avoid it. She found this odd but went along with him. Ethel is shocked that some people suspected her guilt from these actions, I myself am not that surprised. Yet were they all that innocent? For during their fl ight the remains of a body (non-identifiable remains) are found under the floor of the basement. The pathologist Bernard Spilsbury only identified the remains from a found piece of scarred skin which he claimed matched Belle’s medical history. Also large quantities of hyoscine were found in the remains, a drug Crippen had recently bought from a local chemist. Now this artful gay fellar he had a coal cellar. Twould have put a stop to his tricks …. Due to these findings Crippen and Ethel were pursued by the Inspector Drew across the ocean to Canada. Scotland Yard used wireless communications for the first time to aid the chase, signaling and slowing the boat, which allowed officers to board and apprehend the pair on July 31 1910. They were then later tried in England with Ethel being acquitted and Crippen sentenced to death by hanging. Whatever made you run away? Dressed as a boy, and so smart was she. It’s hard to judge what really happened. Crippen showed no remorse while Ethel claimed innocence and also cleverly avoided any accusations or attribution of guilt or emotions about the murder. Nothing really identifiable of the body was ever found and recent DNA tests have shown it not to be that of Belle. Motives of money or syphilis have been put forward and alternatives about illegal abortions suggested. There is a lot out there on the web, more than this blog can handle, but it’s definitely worth a bit of research on a wintery night. On that note I leave you with a less than conclusive argument, all together now …. She had a little money. Then hooked it with another ….